John Dewey was the most famous teacher of philosophy in the early twentieth century, and he was known for his lifelong work to reform America’s educational system. Dewey was born in Burlington, Vermont, in 1859 to strict Calvinist parents. 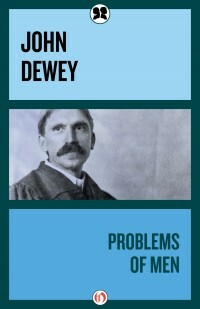 After graduating from the University of Vermont, Dewey taught high school and studied philosophy in his spare time. He finished his doctorate degree at Johns Hopkins University and continued to teach at various universities around the country, finally landing at Columbia University. While in New York, Dewey became involved in political groups and founded what would become the progressive education movement, which purported that students should learn to think for themselves to become active participants of a democratic society. He was also a founding member of the NAACP and ACLU. At this time, Dewey was influenced by Karl Marx, and after traveling to different countries to study their educational systems, praised Soviet education and came under scrutiny in the United States. Dewey continued his political and philosophical efforts until his death in 1952.